FINANCIAL AFFAIRS CORPORATION is an Independent Insurance Agency specializing in business, condominium associations, and personal insurance services in Miami and throughout Florida. Our banking background of more than 25 years allows us to make easier for you to understand and comply with your bank's mortgage requirements. We provide our clients with coverages tailored to their specific needs with superior customer service, quality protection and the best coverages at the lowest Florida insurance rates. Our agency proudly represents Mapfre, Progressive, Hartford, as well as many other Florida insurance carriers, members of the Florida Insurance Guaranty Association, which enables our expert agents to effectively compare rates and coverages to ensure our clients receive the quality protection they deserve. Our entire staff is licensed by the Florida Department of Insurance. We can help in all stages of your insurance needs. Our knowledgeable agents are well versed on all aspects of Florida insurance so no matter where you are located across the state, we will provide you with a dependable business or personal policy you can rely on. Our top priority is to assist you in identifying your specific business and personal insurance needs, while putting together a personalized comprehensive coverage insurance package that caters to your unique requirements. We welcome you to join our family and learn about our numerous options for insurance. 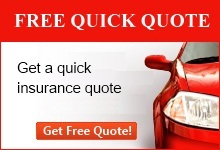 Please contact us to speak with a professional insurance representative and receive a free insurance evaluation. We are always just a phone call away!